First off, let me just say that thinking back on it, I actually did not make this EXACT recipe. It's low fat! I'm a high-fat low-carb kind of gal. Low fat makes me cringe. 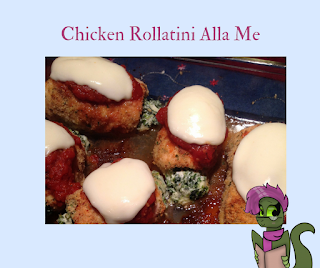 So though I didn't make this exact chicken rollatini I can talk to you about what I did make and what I would do differently next time. 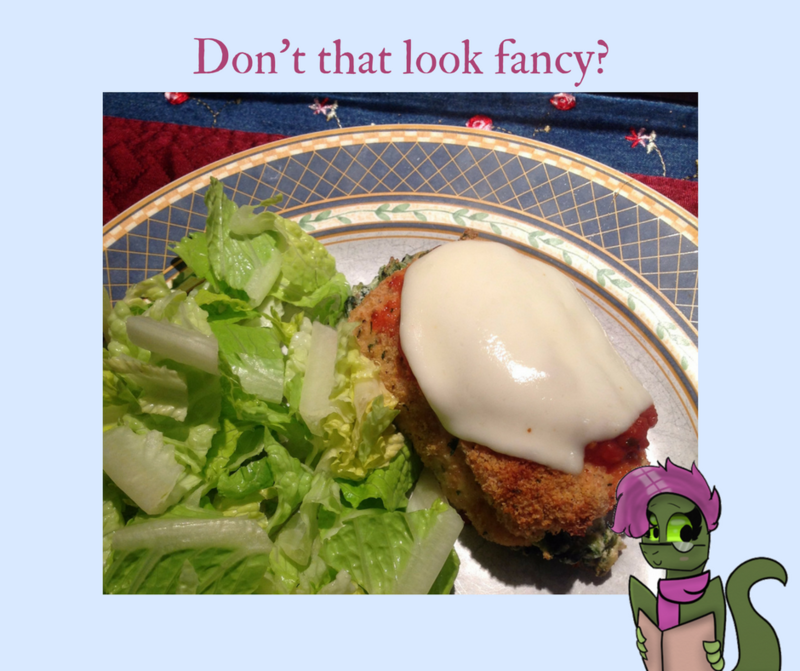 Without further delay...Chicken Rollatini with Spinach Alla Parmigiana! I don't have any prep pictures because I hate raw chicken. Actually, I hate raw chicken so much that I almost hate cooked chicken. I try to avoid its grossness. 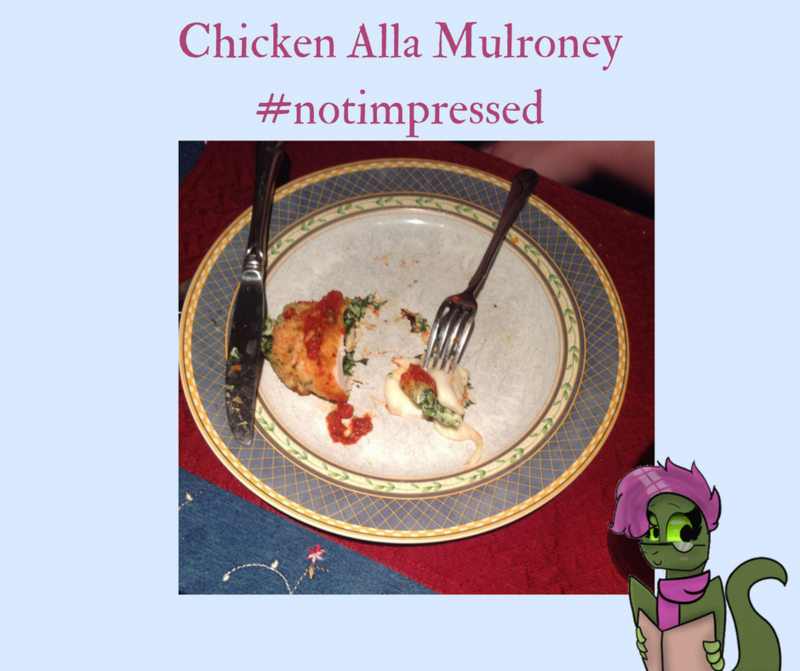 Lucky for you there are prep pictures in the recipe post if you're into that whole raw chicken thing that is. I found this recipe several years ago and it's sat languishing in my Pinterest feed ever since. The other day as I was looking through my Recipes to Try board I saw it and thought why not? So I made them up, used some leftover pizza sauce from the Sicilian Pizza we had the day before. Plopped down some fresh mozzarella,back in the oven to melt and dinner was done! Overall, it wasn't bad, but it was low fat and because of that I felt like something was missing. I will try it again. Until then, it's been bumped to the Meh pile. PS The kid didn't like it much at all, but that doesn't mean I'm giving up. The rule of thumb is that you have to try something three separate times before you discover you like it.